DESPITE WIDESPREAD KNOWLEDGE of the problem, shopping cart abandonment continues to plague e-tailers. In fact, 52 percent of shopping carts were abandoned last year, according to Geoff Ramsey, CEO and co-thunder of e-business research firm eMarketer in New York City. While myriad reasons might explain why prospective customers ditch the contents of a shopping cart at the last minute or fail to click the final "Buy Now" button, experts say a key reason is that the checkout process often simply takes too long. That's what Steven Mckean, 35-year old CEO and co-founder of BuyTelco Inc. (www.buytelco.net), has found. His Hollywood, Florida company's Web site, which went live in 2000, allows consumers and business to enter their information and learn what high-speed Internet plans are available from cable and DSL providers in their neighborhoods. Clients can buy the plans from the site in a seamless transaction. But was it really seamless? Mckean learned a few years ago that when people visited his site, "0.7 percent--not even 1 out of 100 people--would buy." Determined to fix the problem, Mckean used Web analytics to track how customers were navigating his site. He learned that part of the problem was that customers had to surf through five Web pages to check out--from the time they chose a product to when they received an order confirmation. It simply took customers too long to complete the transaction. He says, "We saw that this is where people were dropping out." BuyTelco was collecting so much data because the cable and DSL providers selling through BuyTelco wanted various types of information collected from customers. So BuyTelco asked for all possible information in the checkout process. "While one provider wanted information from questions one through nine, and another wanted information from questions seven through 20, we listed one through 20 in the checkout process," says Mckean. "We were collecting a lot of redundant and unnecessary information. It was a very heavy, arduous process." Working with brothers Bryan and Jeff Eisenberg of Future Now Inc., a New York City firm that helps companies increase their Web sites' conversion rates, Mckean was able to reduce the checkout process from five pages to one. To do this, he reduced the amount of information he was collecting. For example, when ordering cable, the customer is now only asked to provide his or her name, contact phone number, e-mail address, and whether he or she wants to rent or buy a modern. All questions appear on a single page. If a particular vendor needs more information, those questions will also appear on the page, but only if the customer wants the service from that vendor. This database-driven system was set up on the back end at BuyTelco. Also, other content cluttering the page was put into pop-ups, says Mckean, which ultimately minimized the number of checkout pages. These changes weren't difficult to implement, yet they led to a marked improvement. After switching over to the new format in February 2003, says Mckean, "3 out of 100 people are buying from our site." Mckean says that while going from five pages to one and incorporating more content into pop-ups accounted for about half of the decrease in shopping-cart abandonment, "there were another 20 things we did to get the other 50 percent." Some of these changes included adding a progress indicator and a page number to each step of the checkout process so BuyTelco customers could review and make changes to what they had already completed. Items in a shopping cart are now hot-linked to product descriptions, so shoppers can review their choices one last time. Bryan Eisenberg says these tactics may be the only needed improvements to a shopping cart. Even better, they're relatively inexpensive and do not require too many technical changes. Changing the number of steps in the checkout process, on the other hand, is more difficult, time-consuming and expensive. * Remind people of what they're getting as they're checking out. * Provide shipping costs early on. * Show stock availability on the product page, and offer an estimated delivery date. 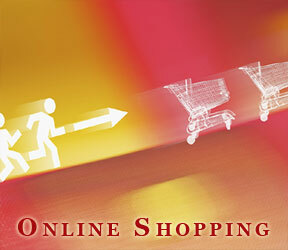 * Include a prominent "Next Step" or "Continue With Checkout" button on each checkout page. * Add "shop with confidence" messages that remind customers of your security/privacy policies. "The number of shopping carts abandoned could be reduced dramatically," says Eisenberg, "if retailers were to make these relatively minor changes to their online checkout processes." Finally, before making any changes to your shopping cart, Eisenberg recommends using Web analysis software to see how people navigate through a site, as Mckean did. By doing so, you can learn not only what frustrates online shoppers, but also what keeps them opening their wallets. HELP! MY OFFICE IS OBSOLETE! Are your relying on yesterday's technology to meet today's demands? Is your office outdated? In need of a complete makeover? Enter Xerox and Entrepreneur's quest to update the most outdated office. You could win a complete makeover. The grand-prize winner will receive a process and document assessment and new technology from Xerox to create a more streamlined, productive and efficient office, plus new furniture supplied by The HON Company and interior design services from Thom Filicia of Bravo's Queer Eye for the Straight Guy. The results will be featured in the November 2004 issue of Entrepreneur. For details and how to enter, visit www. entrepreneur.com/helpmyofficeisobsolete. No purchase necessary. Entries must be received by June 30, 2004. Only one entry may be submitted per company. See official rules for details. Void where prohibited. MELISSA CAMPANELLI is a marketing and technology writer in New York City.